Over in Japetus' Clavius moon base thread, I had mentioned about how I had created different 3D models from 2001 A Space Odyssey. When I started looking for them, the Moonbus was nowhere to be found. Turned out that I had made it in Animation:Master, which is a patch modeling software and not polygon based. Tried exporting to OBJ, but didn't have much success. So, started tracking down reference images and doing the model again in Cinema 4D. One area that has always been a problem for me is modeling compound curves and it was no different with this model. I spent almost 3 days trying to get the front of the Moonbus to look right and match the blueprints. It's one of those things that looks like it shouldn't be all that hard, but really stumps me. 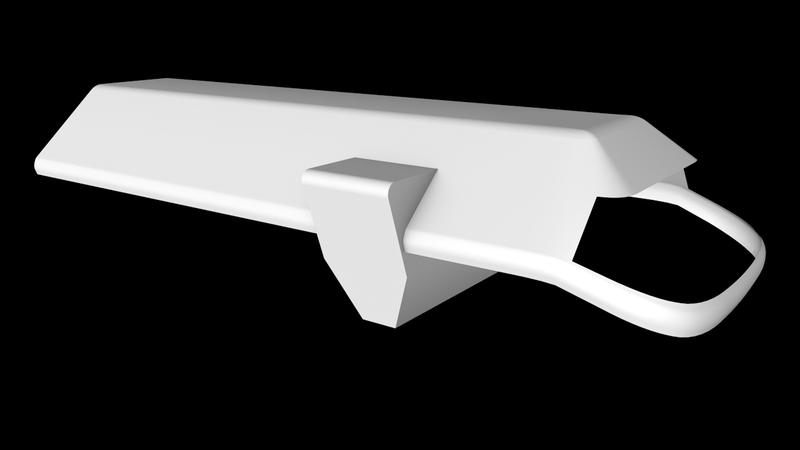 The rest of the model should be relatively straight forward (I hope). I hear you on the complex curves issue. It's especially tricky when working from 2D blueprints. Sure, you can kind of get a feel for the curve, but it's not going to show up exactly on the blueprints. Thankfully there is a plethora of screens from the film and the DVD is readily available for screengrabbing. I'm thinking that a lot of those curves would pretty much take care of themselves as long as you blocked the shapes out and let a smoothing (subdivision surface) application do the hard work. I'm thinking specifically of the rounded edges of the doors and main body. The front window curve could be handled the same way, dropping a control line near the inside post and letting the outside curve around. A lot of the surface detail (greebles) could be handled with floaters. I have been lucky to find some great images of the model including ones from Martin Bower who built a replica of it. And I do have the Blu-ray version of 2001 and have grabbed some images off of it as well. As for the compound curves, I tried going the low polygon route and sub-dividing it, but didn't have much luck. I would come sort of close, but had a hard time refining the shape to match the blueprints. Not sure how long it will take to do the front bottom half of hull. The rear half will be easy enough. Excellent subject from a movie with fantastic models and isn't given enough attention. Nice work so far!